By Irena Kagansky - August 2014. What did you dream of when you were a child? Perhaps you couldn’t stop talking of being an astronaut and exploring the wonders of outer space. It’s also perfectly possible that just like Hubert Van Innis you’ve dedicated your life to becoming one of the world’s greatest archers. Wherever you’ve come from and no matter where you’ve been, if learning archery is still top of your mind then Hubert’s story will inspire you to shoot with precision and never give up on your dream. Hubert Van Innis was an ordinary boy born in Brussels Belgium in 1866. He was the kind of kid that when tasked with delivering milk for his parents would instead make his dog do it. Why? Simply because shooting arrows was much more enticing to him than the alternative.The young boy’s early interest in archery soon became a lifelong passion. Later in life he began shooting in a room dedicated entirely to archery which was built as part of a restaurant he owned in Brussels. 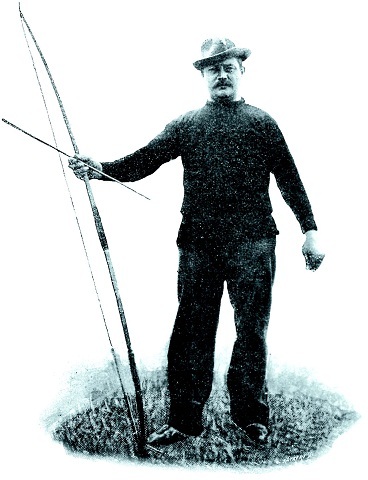 Legend has it that Van Innis was such a skilled archer that he’d often be banned from taking part in some competitions for fear of winning yet again thus preventing others from doing so.Archery to him was much more than just a popular sport of his time. From the very start he thought of shooting a bow as an art form; a way of achieving the perfect balance between mind and body. At the age of sixteen he won a tournament to a group of professional archers and a team from the Netherlands and has not stopped since. 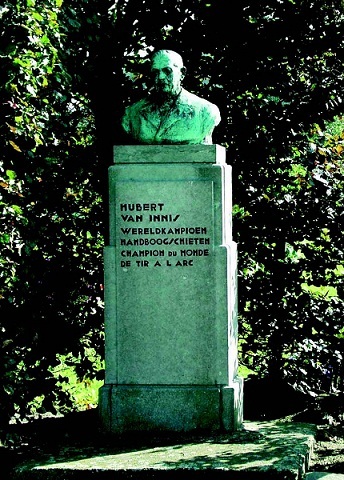 What’s not at all surprising, is that even at fifty-eight years young Hubert went on to win another Olympic title. Followed by a gold medal win at the Olympic World Championship in 1933 at the age of 67. He has won six gold medal in total and ten during the 1900-1920s summer olympics. He likely would have done more had he been given the opportunity. Like Hubert, you too can make archery part of life. This precision sport teaches you about focus, mindfulness and an entire set of skills you can apply to your everyday life. Most importantly archery offers you a unique opportunity to connect with nature and embrace a sense of spiritual awakening and renewal. 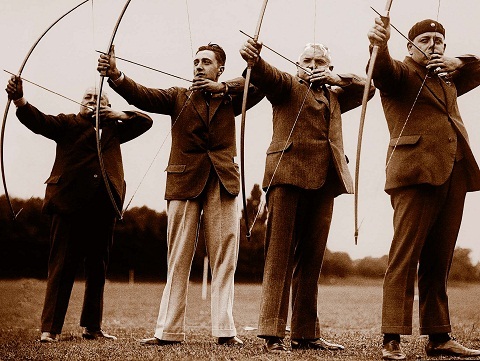 Although neigher of his three daughters were particularly interested in archery, his grandson did become a member of an affluent archery club in San Sebastian de Bruxelles. Van Innis himself, continued to shoot well into his 90s until his death in November of 1961. He is still seen as Belgium’s most celebrated Olympian. Hubert's life journey is a symbol of human strength, endurance and spirit. It’s a true testament of your own ability to persevere and become the archery master you want to be. Hubert’s legacy is a reminder that even the most impossible childhood dreams can be achieved with hard work and dedication.